Data Backup | OnePointSync, LLC. Each of our data centers complies with the strictest security standards and conforms to the best industry practices for power redundancy, cooling and protection. Our cloud backup uses 448-bit Blowfish encryption, one of the most robust encryption methods available. Your files are encrypted before they leave your computer and then transferred to our servers using 128-bit Advanced Encryption Standard (AES) protocol. A desktop application that’s easy to use, means anyone can restore lost files without asking for help. Users just open the software client and choose the files or folders they want to restore. Highly flexible and fine-tuned controls also let users adjust their backup settings themselves. “Cloud Backup” backs up changed information as often as every minute, and continues to watch for changes to data in real-time. After the first backup completes, CrashPlan (the software vendor) checks for data that is already backed up and ignores it, making subsequent backups much smaller, and faster because they contain only new or changed information. By default, the cloud backup retains more versions of newer files and fewer versions over time. You can easily adjust the number of backup versions being retained to meet your requirements. If you have groups of files that you want sent to different destinations or with different backup settings, you can use unique backup sets to give you more control where and how backups take place, allowing you to manage your backup down to individual files. 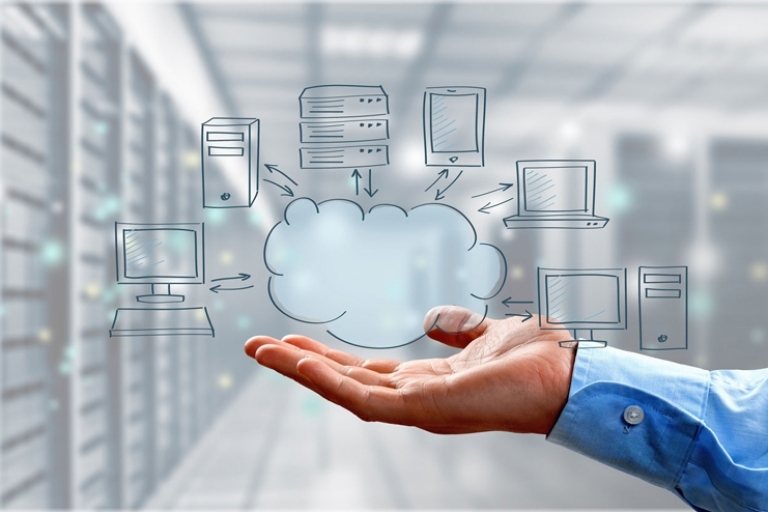 OnePointSync offers Cloud backup for your business at an affordable price. Contact our sales department for more information and pricing.